A kitchen is a part of a house which is used to cook food. It is the most important part of a house. A kitchen consist of a stove, sink, racks, shelves, cabinets, chimney, etc. are the items which can be found in a kitchen. 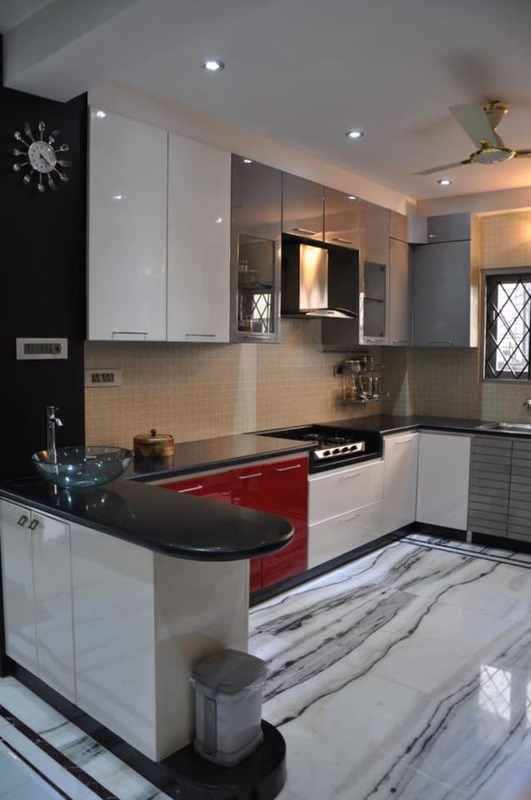 Main functions of a kitchen is to store, prepare and cook food, the room area of the kitchen can also be used for dining purpose or for small meals like breakfast, etc. A kitchen should be atleast that big that atleast 3 - 4 persons can be inside and work continously. 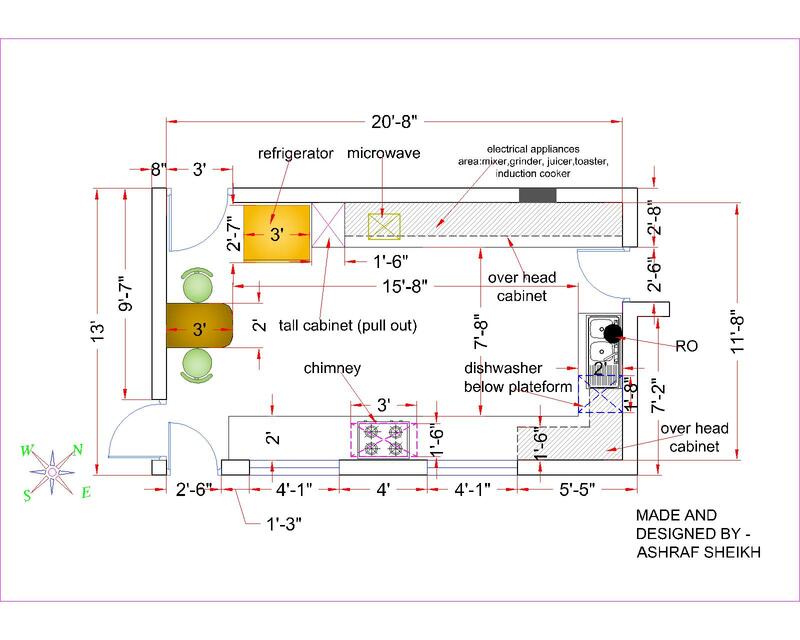 This kitchen is designed in such a manner that it can fit almost 5 persons that can work there. The kitchen is fitted with all the modern amenities that all of you will like. The drawing contains all the details which are required by the user. This design can be used as a refernce for many other kinds of kitchens.